As wonderfully varied, eclectic and culturally rich as Brighton is, we are sadly rather low on high end dining. I could probably count on one hand the restaurants I would choose for that particularly special meal. One of them, however would have to be Hotel Du Vin. This would be my fourth meal here and it has always delivered at least one memorable dish with each visit. The mood of the interior is spot on, I like the cleverly lit bistro style dining room and the cleanly designed yet comfortable bar area (which has now been extended). Its smart, formal yet relaxed at the same time. I'm still not a fan of their newer addition next door, Pub Du Vin, as the interior looks like a car crash between Walt Disney and Van Helsing, so I stick to the bar here for pre (and post) drinks. 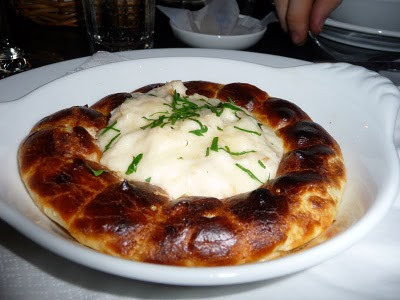 Normally opting for a terrine, paté or rillettes starter from HDV menu, I went a little off piste and chose a Smoked Haddock Gougere which was feather light and creamy. Enjoyable in a fancy-fish-pie kind of way with beautiful flakes of smoked haddock but I did miss the flavour hit of one of their terrines. 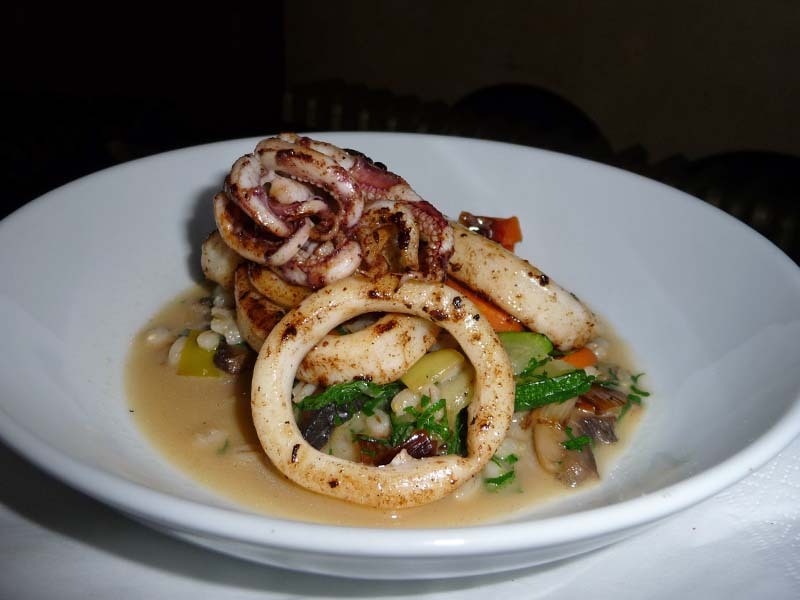 Mr Graphic Foodie chose the impressive looking Pan-Fried Squid, with a Mushroom and Barley Broth. This was a nicely textured and interesting starter. Squid is notoriously difficult, rarely ordering it as nine times out of ten I end up chewing on fat elastic bands which is no fun for anyone, but this one had acceptable chewiness. You know I love a confit duck, and there was plenty to love about this one along with the fennel gallette. I did find the sauce a touch sweet but it did work well as a dish overall. I was more than happy with the succulent pockets of meat hiding underneath the irresistibly crisp skin. 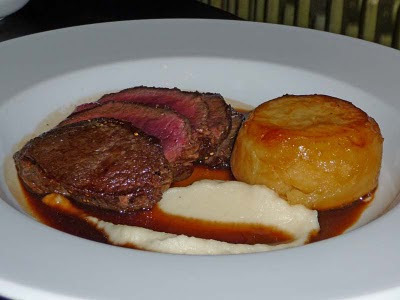 As enjoyable as my duck was, the main course winner of the evening award went to Mr GF's perfectly cooked venison with fondant potato and celeriac puree. Classic, fantastic quality produce, cooked with confidence which has no need to try too hard. 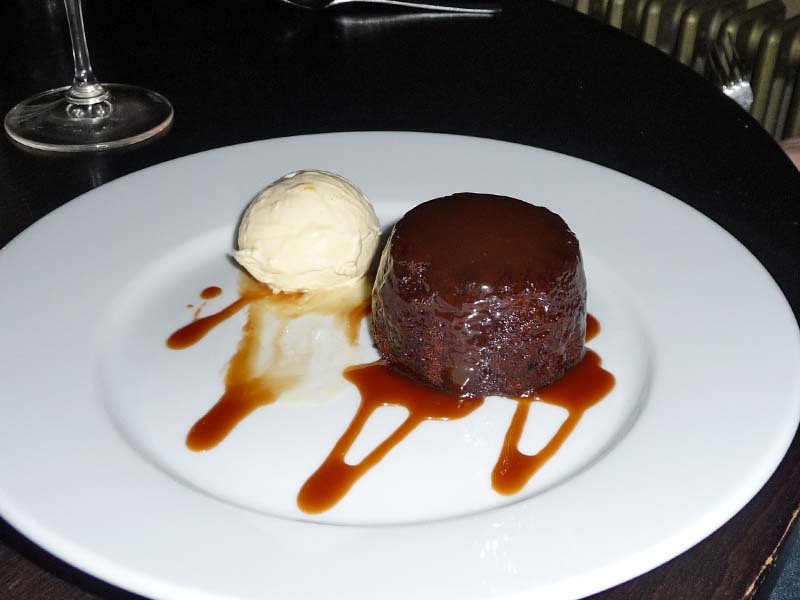 I could take or leave sticky toffee pudding and there were plenty of other desserts on the menu that caught my eye like the cherry clafoutis, tarte tatin or homemade sorbets but as I was dining with the sticky toffee pudding monster AKA Mr. Graphic Foodie, this is what we shared. This delivered the buttery sweet hit you'd expect from it. Monster gave it the thumbs up. It's worth mentioning that HDV has quite possibly the best service in town. Their gliding staff are sharp, knowledgeable and polite, but most (and foremost) friendly to boot. Their sommelier recommended us a bottle of the St Hallett Faith Shiraz which worked perfectly with our main course choices. The wine list may generally be on the pricey side but there is plenty to choose from for a wide variety of budgets and even their wines by the glass, although limited, are not too shabby. In any case it is worth asking for help from the sommelier rather than put yourself through the exhausting task of reading the weighty list. 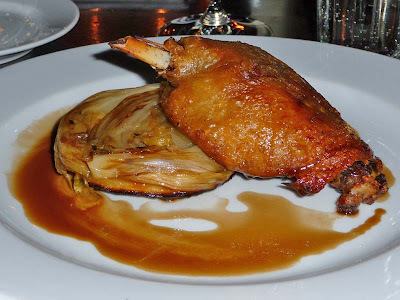 The food on offer at Hotel Du Vin isn't going to blow your socks off with inventiveness but that's not what it is about. I'd rather eat the classic, solid and robust meals on offer here than any gimmicky fine dining. The food prices are just a little higher than mid-range dining in the city yet the quality and service so much more so that really this is good value dining, but you can rack up a portly bill with booze. However, I noticed that they have some rather good lunch and dinner offers which would be worth taking advantage of and even if you choose not to dine, the bar is worth knowing about for a drink in central Brighton avoiding the riff raff.